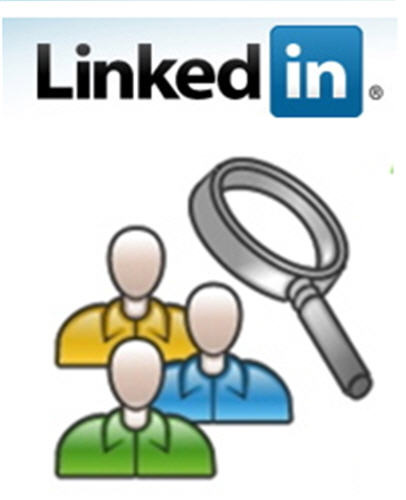 The verdict is out – Linked In is probably the unchallenged competitor as far as trying to get a new job is concerned. You could also use this site to build a lot of laser-focused business leads to your business. Basically, you could use Linked In for any of your purposes, but a certain amount of diligence may be required on your part. The Internet seems to be full of some success stories on how some guys have made it big because they have been able to use Linked In effectively well. Based on my experience, I recommend you to follow these 13 class tips, which could help you utilize the power of Linked In to the best possible effect. Your profile has to be 100% complete – Google has changed a lot and nowadays, even employers are using Google as a tool to find their prospective employees. To cut a long story short, the point is – Your profile in Linked In has to be complete in all respects. Only 100% completeness would do and nothing less. If you don’t have any recommendations to show for in your Linked In profile, or if your work experience is incomplete, the chances of you using this site to get a job, is going to be minimal. The headline works – Often, more than your name, it is your headline on Linked In that catches the attention of people who wish to hire you. As they say – First impressions matters, the headline is probably considered to be the most important two lines of your resume on Linked In. Add all work positions – Here is one reason why you shouldn’t under-fake the positions you have worked for. There are chances that a hiring manager may like Skill A as opposed to Skill B in your resume. Importantly, the hiring manager could also have worked in your previous organizations and may be keen on hiring you. That’s probably one reason why you should quote all the facts in your resume. Recommendations are important – The importance of having recommendations from people can just not be undermined. Merely having couple of recommendations from people may not really work, the reason being there are so many people inactive on this network. Your hiring manager would be checking your resume for recommendations, if any. If he isn’t going to find any recommendations, the chances are he wouldn’t believe you? Why should he anyways, when some other people wouldn’t vouch for you? The whole network is yours, so connect with them – I don’t think LinkedIn imposes a penalty on how many people you connect with. Neither does it charge you. In that scenario, why would you want to limit your connections to only a few people? LinkedIn now is one huge repository of people, so use this chance to connect with people whom you even vaguely know. After all, you just don’t know from where the next recommendation would come from. Your message should be crisp and clear – One thing is for sure – The conciseness of your message would convey to the readers of the network on how professional you are. Basically, this means one thing – The message you deliver is directly proportional to the chances of you being hired. Stay active – This is probably one of the must-dos if you join LinkedIn. Please note that this is more than just a social networking site. Since joining LinkedIn is free of charge, it gives people the license of just uploading their resume and keeping quiet for months together. That wouldn’t help your cause in any way. On the other hand, if you are active on your profile, the chances of people taking note of you would be high. Niche groups work for you – The benefit of joining niche groups is that they have customized job boards, but most importantly they also have jobs that match your skill set, assuming you joined the group because it was relevant to your skills. Create a group so others could join in – If you are able to create a laser-focused group and invite other members to join your group, you would be in business sooner than later. By doing so, you would be seen as a thought oriented leader and not someone who merely follows. Mention your awards and recognition – The point of mentioning your awards is critical for your success in LinkedIn. After all, this is one way of telling your prospective employers on what is attractive about you. Answering questions helps you hog limelight – By answering questions that get frequently posted on the job boards, you get to show your expertise in select topics. Indeed – This could prove to be a wonderful marketing strategy, as your prospective employers get a first hand feel of your expertise on select topics. By importing your Twitter and Facebook updates, you get to be on constant touch with the social media. Social media networking is the best possible tool for you to connect with a lot of people at one go, so it is definitely worth a try. Connect and always connect – Irrespective of whether people are of immediate help to you or not, connect with them. This would enable you to have a good list of people, which may come in handy in the future when the situation arises. The point is – Linked In can be used in the most effective way for you to get noted. Prospective employers use this medium proactively to find out more about the candidates they wish to hire, so don’t be left out there.